Bird cage covers help to block outside light, provide warmth and give your birds an extra sense of comfort and security. This will help with your bird or parrot’s sleeping patterns, lower it’s stress levels and improve the the overall health of your pet. So you can see why bird cage covers are so necessary, but before buying one you first need to consider a few factors such as the shape, size, material used and price. Why you need bird cage covers? 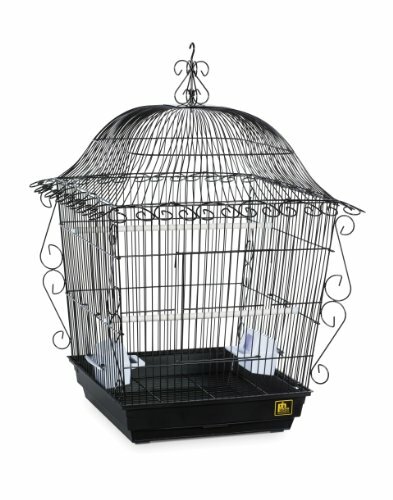 What to look for in bird cage covers? 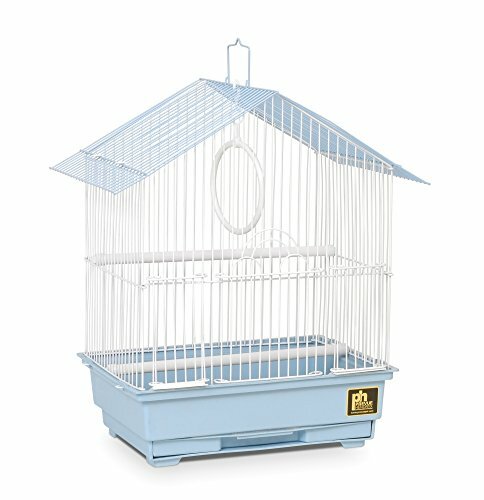 Buying Used Bird Cage Covers? Important Note: Some people think that you can use any old bed sheet or piece of material as a homemade DIY bird cage cover. We strongly recommend against this because the material you use could potentially be toxic or non-breathable and so harm the health of your bird. A bird cage cover allows your pet bird to sleep consistently and on a regular schedule which keeps your bird’s healthy and happy. Without a consistent and uninterrupted sleep cycle they can become stressed, ill and start biting and pulling out their own feathers. But with a bird cage cover you can provide a consistent sleep pattern. This is needed especially in some areas of the earth which have longer daylight hours in the summer time. 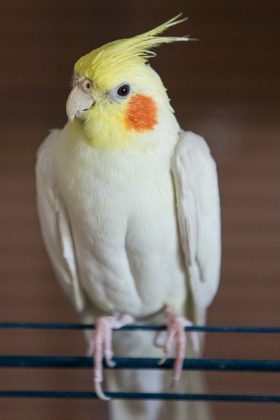 This period may be too long for your birds (as they may be used to shorter daytime periods as a lot of pet birds are from the equator). Bird cage covers also help to regulate temperature and keep your birds warm at night. Additionally they provide a layer of security that will help to prevent your bird from having night time screeching or frights which can sometimes happen if birds are in view of a street. The biggest mistake people make when buying a bird cage cover is they get one that is too small. If you buy a cover that is too large then this isn’t too much of an issue because you can always fold or roll up the spare bits of material. 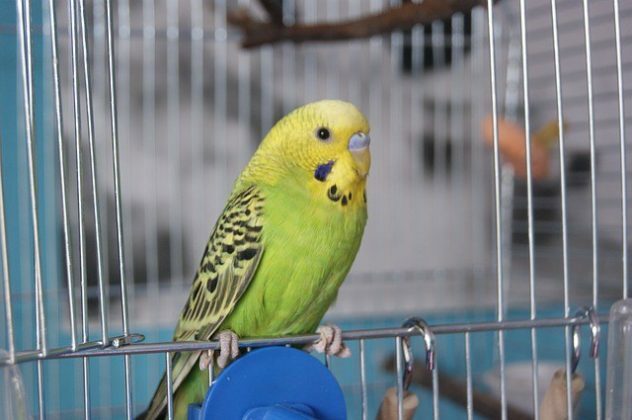 However, if the cage cover is too small then light will enter into the bird cage and keep your pets awake. So double check the dimensions of your bird cage and buy the appropriately sized cover to match. The range of bird cage covers usually comes in 4 different sizes: small, medium, large and extra large. After size, the second most important thing to consider is the shape of your bird cage. Most bird cages come in rectangular, square and circular shapes. However, you also need to think about the shape of the top of the cage – is it flat, dome, triangular? Does it need a hole for a hanging bird cage. So look at both the shape of the main part of the cage and the shape of the top of the cage. Is it breathable? You need air to be able to circulate in and out of the cage to maintain the health of your birds. Does it block out the sun? There’s not point in having a bird cage cover if the material is so thin that light can easily seep into the cage. Is the material bird safe? The fabric needs to be made from non-toxic, bird friendly materials. Most commercial covers are made from poly cotton blends. Is it machine washable? Bird dust and dander will eventually dirty your cover and so you want the material to easily washed using a machine. When buying anything, you’ve always got to take your budget into consideration. Fortunately, you can get cheap bird cage covers which are very affordable and can be bought for as little as $20. Sometimes you can even get 2-for-1 cage cover deals if you buy during the correct season. However, if you’re looking for the best quality materials or larger sized cage covers then you may have to pay $80 or more. An openable front flap may also be necessary requirement depending upon your species of bird. For example, cockatiels generally like to be able to see a little bit when resting, so have a front flap that can be partially opened. Also, think about whether you live in a hot climate or cold climate, do you use air conditioning or central heating? Both of these will affect how thick your bird cover should be. You don’t want your bird’s overheating or being too cold. Now with a better understanding of what to look for, read on through the list below to identify which bird cage cover will best fulfill your needs. Who is this bird cage cover for? 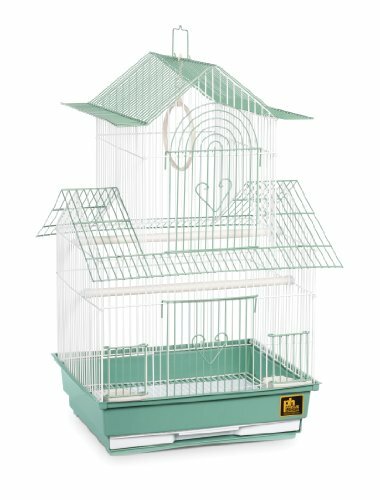 People with bird cages that are smaller than the listed dimensions of 41″ x 27″ x 48″ and have rectangular or square shaped cages. Overall, this is the best large bird cage cover available. People with medium sized bird cages that want a bird cage cover that is very effective at blocking out bright light conditions. 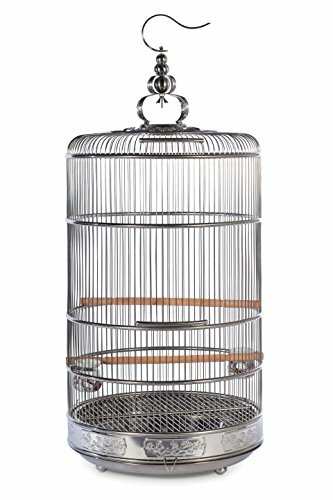 This bird cage cover is perfect for anyone that owns a S02 bird cage made by Vision or has a cage that is smaller than the specified dimensions listed above. 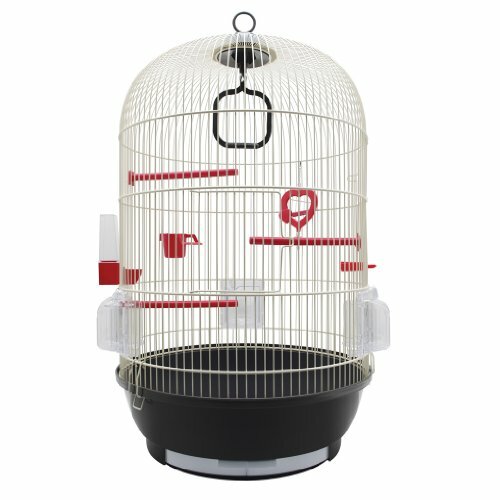 Anyone that owns a small hanging bird cage and wants to protect their birds at night time. Perfect for anyone with a small circular bird cage. Perfect for anyone that has a bird cage with a dome top. This is a high-end, premium quality bird cage cover. Available in a range of different sizes as well. Aviary covers are necessary for outdoor aviaries and espcially those that are open-top so you can provide protection from both the sun and rain. The aviary cover listed above works particularly well as it can be strapped to the top of most aviaries. 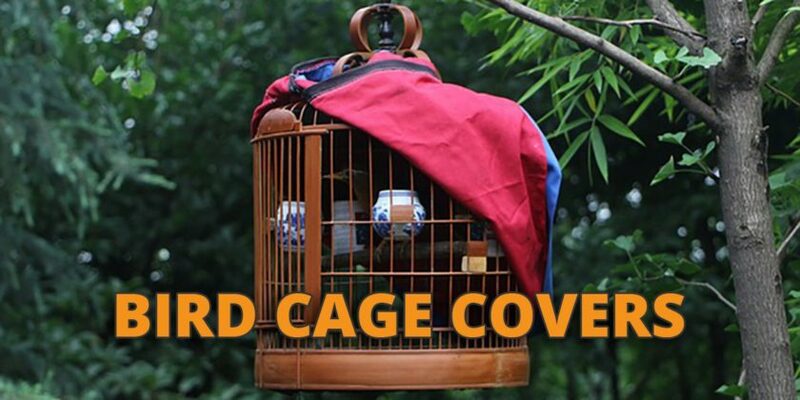 It’s very simple to put on a bird cage cover, but there are still a few things you should consider when using one. You should experiment with opening the front flap (if possible) to see whether the birds prefer to be fully enclosed or have some visibility. Around the bird cage you should provide lot’s of space so that it is well ventilated and not resting against any walls. Over at BirdTricks.com they sometimes use clamps to keep the cover in place. Also, maintain a regular schedule that mimics your birds natural habitat. Plus, the people at Bird-Cages.com don’t recommend using a cover outside of bedtime hours or if it causes them stress. Finally, don’t place the cover over your birds just because they’ve been too noisey or your don’t want to see them. You shouldn’t use the cover as a punishment tool. If you’re looking for a deal and want something that is cheaper and more affordable then you might consider used bird cage covers. The main problem is often that they’ll be of the wrong size. Also, you’ll need to give them a thorough wash and disinfect the covers because you have no idea of whether or not the previous owner had a bird with any diseases. You might also need to sew and stitch up any rips or holes. Also, it’s recommended that you only purchase covers that are specifically aimed at birds because otherwise the fabric could be made from a material that is harmful to birds. Ebay, Craigslist and Gumtree are good places to start if looking for a used cover. Fabric – needs to be able to block out the sun, be breathable, bird safe and washable. First measure out the dimensions of your cage using a tape measure. Cut your fabric to match the dimensions of your cage but allow an extra inch or so for in addition to the dimensions you have measured. Pin the fabric together in preparation for sewing. Now sew the pieces of fabric together using a thread and needle. It’s important to sew the top piece of fabric last and do the 4 side piece first. More details on how to make you own bird cage covers can be found over at CraftAndFabricLinks.com. where can i get a cover for my cage that is 46X46X80? i cant find one anywhere!!! HELP!!!! The closest thing is probably this aviary cover here. But you may be out of luck otherwise.